Part of managing a business wisely is addressing all the ways you might be losing money. 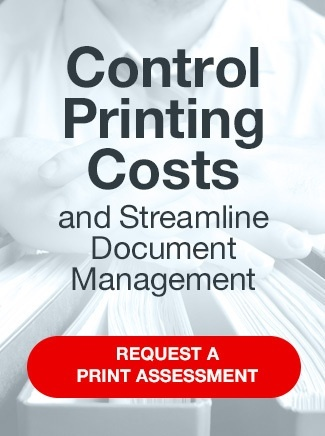 Your print environment is a common culprit – you need to know how much you’re spending on printing, copying, scanning, and faxing. To get costs under control and plug any leaks in expenditures, we offer Document Cost Accounting. With this option, our clients get an immediate savings of 10-40%. Clients also see increases in productivity and overall organizational efficiency. Secure print release and find/follow-me printing. Jobs are placed in a holding state until the user authenticates and releases the job at the printer. SymQuest’s Document Cost Accounting services are an excellent complement to our Document Workflow Assessment and Electronic Document Management solutions. With these tools, you’ll be able to recover costs, maintain secure documentation, and stay compliant – all while your business runs more smoothly.